Any foodie knows that great cuisine can be found in big cities like New York City, Chicago, San Francisco, and so on. But isn’t it time to look beyond the metro hubs for all the good grub? This is a big country; there are many other incredible dining experiences to be had in America’s many nooks and crannies. Some of the tastiest and most authentic dishes are found in ma n’ pa restaurants in towns scattered across the country. Yet, the most important question remains; how do you find them? Most often, these hidden gems are known only through word of mouth or among the locals. 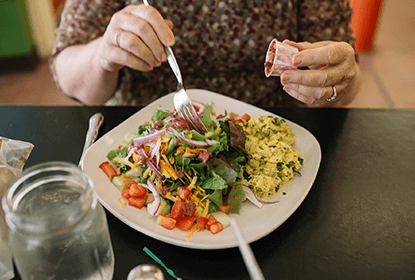 To help travelers know where to go for great food, RewardExpert set out to determine which towns – outside of the big cities – are the best for excellent dining in the country. We compared over 100 cities and towns with populations less than 100,000 and evaluated them on nine key metrics. Take a look below at the top five cities in each major region of the United States. Need a weekend getaway? 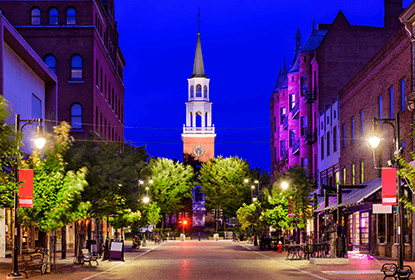 Check out Burlington, Vermont for your next trip, because it was first on our list of foodie towns in the Northeast. According to our findings, Burlington has 8.6 restaurants per 10,000 residents and 40 restaurants with at least a five-star rating on Yelp. The town is also known for its breweries, which make it a very well-rounded city for foodie options. For a classic French dining experience, go to Leunig’s. For pizzas made completely from scratch, go to American Flatbread. Grab a beer at the brewery Zero Gravity. Second on our list of foodie cities in the Northeast is Portland Maine. 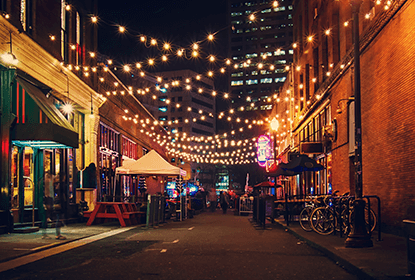 Portland has almost 600 restaurants, which gives travelers an excellent variety to choose from. Maine is famous for lobster, so travelers shouldn’t leave the state without trying a lobster roll. For lobster, we recommend checking out Scales. Other wonderful foodie spots to visit are East Ender, Duckfat, or Central Provisions. However, go early, because from our research, we’ve found out people line up for a dinner table at Central Provisions at as early as 4pm. Waltham is outside of Boston and absolutely worth the trip for foodies. Our research shows the town has 16 restaurants per 10,000 residents. 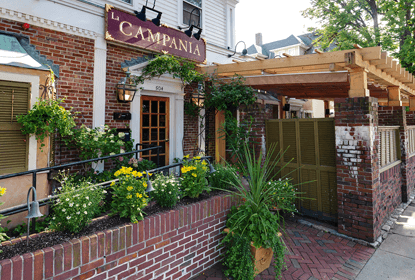 For travelers looking for a high dining experience, check out La Campania for great Italian food. Other great places to eat at are the Cooper House Tavern, Amuleto and Charcoal Guido’s. Rhode Island may be tiny, but we didn’t forget about the Ocean State! Newport is fourth on our list of the best small foodie cities in the Northeast region. According to our findings, almost 20% of the town’s restaurants have five stars on Yelp, which is remarkable for a city of its size. Newport’s waterfront provides wonderful and scenic opportunities to eat. We recommend Bowen’s or The Mooring Seafood Kitchen & Bar. Don’t forget to check out one of Newport’s Dinner Cruises! The Hudson Valley offers a wide and substantial opportunity for culinary treats, however Tarrytown snags the 5th spot on our list of the Northeast region. This is a wonderful side-trip or day-trip for both New York residents and tourists. According to our findings, roughly 13% of Tarrytown’s 270 restaurants have 5 stars on Yelp, TripAdvisor, and other review websites. For a small and historic tavern, check out Cellar 49. 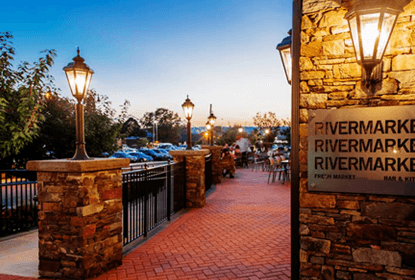 We also recommend RiverMarket Bar and Kitchen; a locally sourced and farm-to-table restaurant. Traverse City in Michigan is first on our list of small foodie towns in the Midwest. 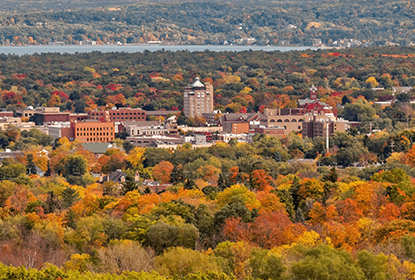 Michigan is sometimes overlooked as a foodie state, but the Great Lakes Culinary Institute is located in Traverse City. This means that young and ambitious chefs are peppered throughout the state bringing incredible culinary experiences to small towns. According to our findings, the city has 19 restaurants per 10,000 residents. We recommend Patisserie Amie or Trattoria Stella. Lastly, the town holds its annual Cherry Festival each July, so don’t miss it if you’re in the area. Hamtramck is second on our list due to its exceptional Polish cuisine. Historically, Hamtramck has received many immigrants from Eastern Europe, and in the 20th century, the city was mostly Polish. Many Hamtramck families keep traditions alive by continuing to serve up wonderful food to eager customers. In Hamtramck alone, there are over 200 restaurants. We recommend the Polish Village Cafe or Polonia Restaurant. 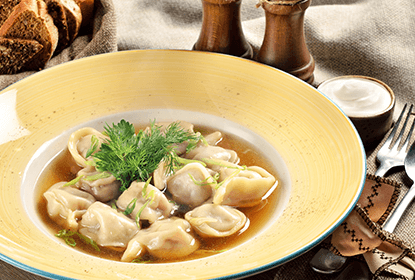 These places will allow foodies to enjoy an authentic Polish dining experience. The Polish Village Cafe will be featured in an upcoming episode of the Travel Channel’s “Food Paradise.” Lastly 14.3% of the town’s restaurants have 5 stars on Yelp, TripAdvisor, and other review websites. 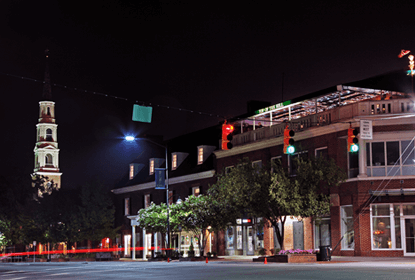 Wooster is a small town in Ohio about an hour south of Cleveland and its downtown area offers some incredible dining opportunities. The town of about 26,000 residents has over 38 restaurants that boast a 4 and a half star rating or higher on Yelp, TripAdvisor, and other review websites. We recommend the Broken Rocks Cafe & Bakery or the City Square Steakhouse. Don’t forget about the Local Roots Market and Cafe, which offers yummy sandwiches and treats. 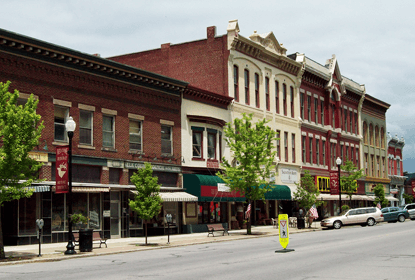 Located on the western side of Illinois, lies one of the best kept secrets in the culinary world: Galesburg. 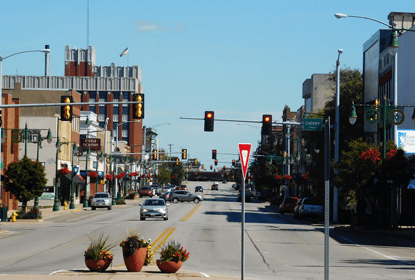 An impressive 20% of Galesburg 107 restaurants have 5 stars, which is a ton for a town of just 30,000. 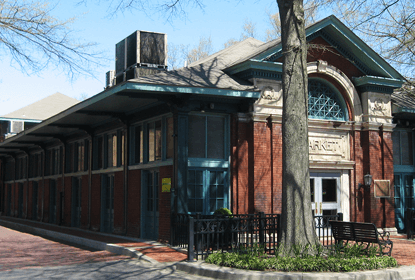 Go straight to Seminary Street and check out the Landmark Cafe and Creperie or Chez Willy’s. However, Coney Island can’t not be missed as it’s the the town’s longest running restaurant. It opened in 1921. 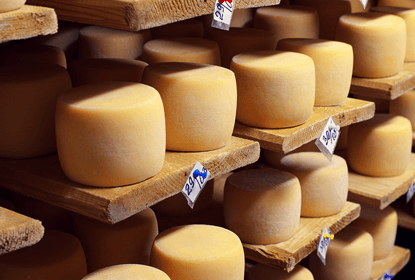 If you’re traveling through the Midwest, can you really miss “The Cheese Capital of the World?” According to our findings, Monroe doesn’t have as many restaurants as other towns, but the ones they do make it worth the trip and that’s why it’s 5th on our list of the best foodie towns in the Midwest. We, and pretty much everybody else for that matter, declare Baumgartner Cheese Store a must-visit. It dates back to 1931 and offers chili, sandwiches, and soups, among other treats. 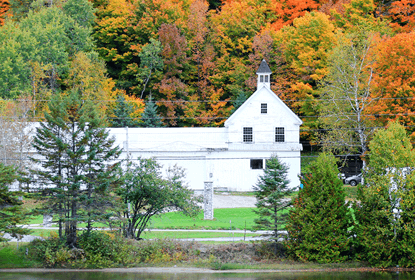 Visit in September for the biennial Cheese Festival that Monroe holds. Two other places we recommend are Alp & Dell Cheesery and Buggyworks Restaurant and Pub. 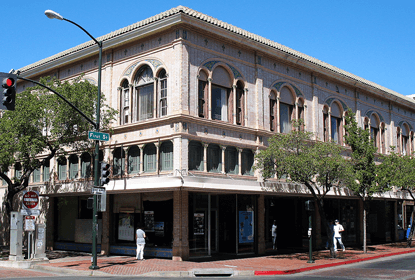 Santa Fe is first on our list of foodie cities and towns in the Mountain West Region. Santa Fe is one of the larger towns we analyzed, but it can’t be missed due to its local cuisine. The town boasts over 400 restaurants. Santa Fe is known for chefs who create innovative Southwestern fare, and is home to many award-winning restaurants. For fine dining, go to Sazon, Geronimo, or the Coyote Cafe. Geronimo was named one of the top 100 restaurants in America by OpenTable, a review website that analyzed over 5 million reviews from verified users. For something a little more casual, check out Palacio Cafe or TIA Sophia’s. Aspen is home to only 6,500 residents, but it lights up in the winter as people visit from all over to ski and snowboard. That’s why, among other reasons, the town has an amazing culinary scene. Of Aspen’s 130 restaurants, 21% of them have 5 stars on Yelp, TripAdvisor, and other review websites. 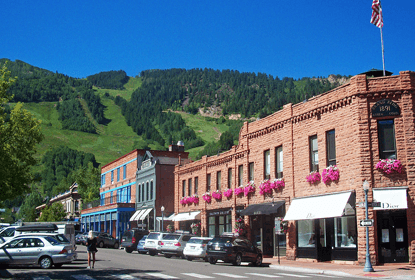 Aspen additionally hosts many award-winning restaurants. For example, Time Magazine named Chefs Club, a restaurant in the St. Regis Hotel, one of the country’s top 100 restaurants. If you’re traveling through Colorado and you’re a foodie, go to Aspen, no matter what time of year it is. For fine dining, we recommend Matsuhisa-Aspen or Wild Fig. Don’t pass up on a meal at 520 Grill or the Bamboo Bear Restaurant either! A burgeoning culinary scene is taking place in Logan and it should not be missed by foodies traveling through the Mountain West region. 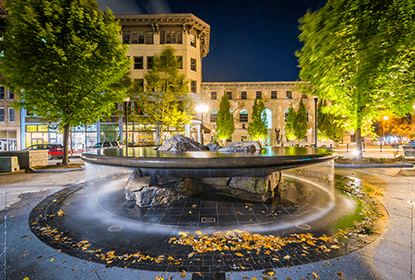 Logan is simply a beautiful destination to enjoy a good meal as it sits at the foothills of the Rocky Mountains. According to our findings, 37.4% of the restaurants in Logan are rated with four and a half stars or higher. One example of the culinary scene in the town is Elements Restaurant. 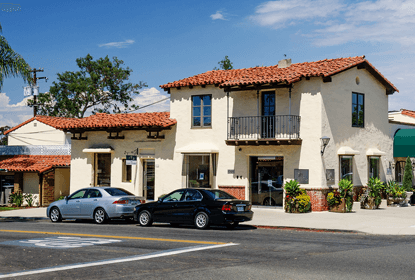 Angie’s Restaurant, Cafe Sabor, and Le Nonne are also worth the trip. Le Nonne’s owner and head chef, PierAntonio Micheli, is a critically acclaimed chef and Le Nonne is the culmination of his decades of work and practice. Ridgway is small, really small. It has about 950 residents, but boasts some incredible restaurants. 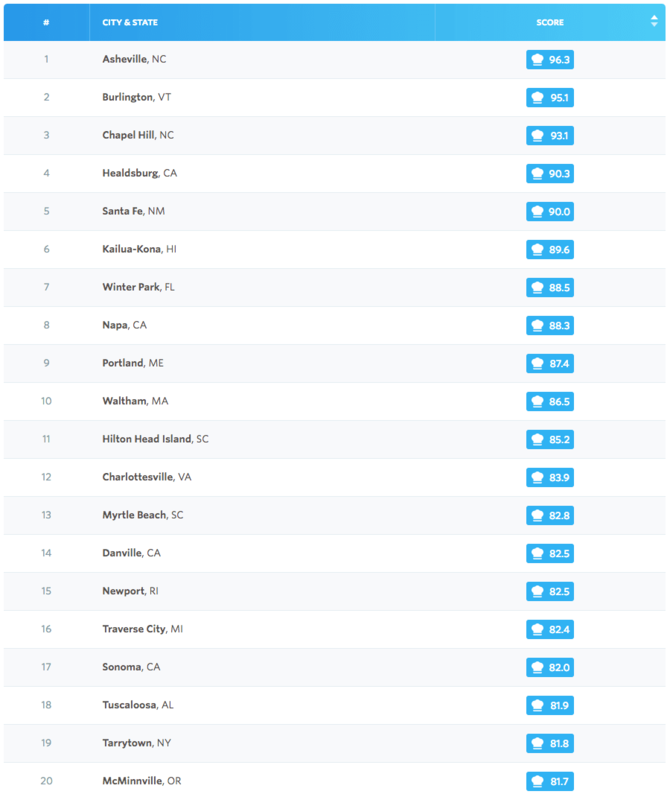 According to our findings, there are 13 restaurants in the town, but 10 of them have 5 star ratings online. An impressive 77% of the restaurants in the town have this ranking, which is better than any other city we analyzed in the region. We suggest you visit the Colorado Boy Pub and Brewery, Taco Del Gnar, and the Adobe Inn. 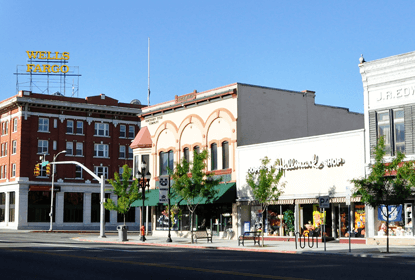 Fifth on our ranking of foodie towns in the Mountain West Region is Bozeman. Bozeman has about 230 restaurants according to our findings. 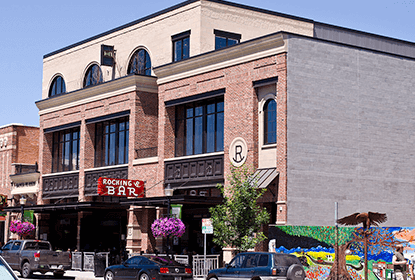 Bozeman is a must-visit if you’re traveling through Montana or visiting Glacier National Park. For fine dining, we recommend Open Range or the Emerson Grill. Other restaurants in the town we suggest you visit are Plonk Bozeman, Starky's Authentic Americana, and Blackbird. Starky’s was named by TripAdvisor as a highly recommended restaurant to visit in Bozeman. 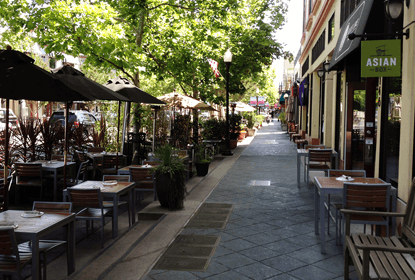 Healdsburg, California ranks first of all the foodie towns in the Pacific West region. 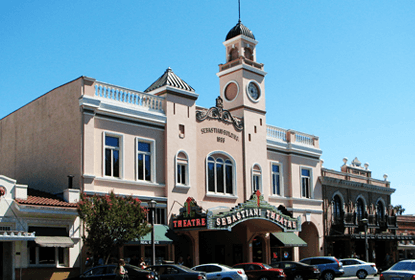 The town has about 11,000 residents but 25% of Healdsburg’s 119 restaurants enjoy 4 stars or more on Yelp, TripAdvisor, and other review websites. Furthermore, the town is located within an enclave of the world’s best wineries. The town’s cuisine is known for being fresh and tasty. 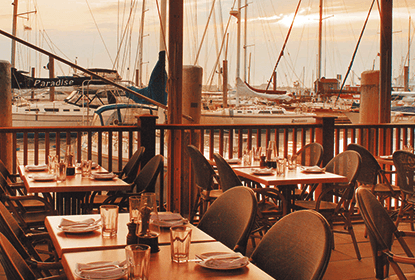 We recommend Will’s Seafood and Raw Bar or Healdsburg Bar and Grill. For wine, enjoy a tasting at Simi Winery. 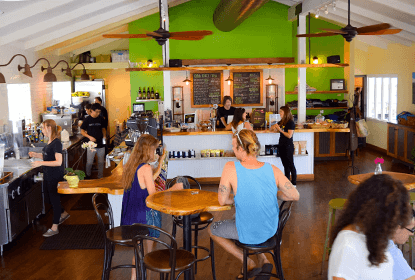 Located on the Big Island, Kailua-Kona is a foodie hotspot and second on our list of the best foodie towns in the Pacific West Region. Kailua-Kona boasts 21 restaurants per 10,000 residents. Kona Coffee is grown on the island itself, so grab a certifiably fine cup o’ joe while you enjoy the white sand beaches and clear blue water. Don’t forget to stop by the Kona Farmers’ Market, where produce and treats cannot be fresher. We also recommend Umeke’s, which is a local favorite and serves up Hawaiian dishes. Napa is world-famous for wines, but it also has an incredible food scene to pair with the region’s top-notch vino. There are almost 500 restaurants in this small city, which is remarkable when compared to other cities of the same size. We recommend Oenotri, The Cadet Wine and Beer Bar, or La Taberna. Literally, if you step foot in Napa, there’s a good chance any place you walk into will be award-winning and incredible. For example, executive chef/owner of La Toque Restaurant earned a star from Michelin in 2015. Check out Flavor!, a culinary and wine festival that celebrates Cabernet Season. California as a whole might be one of the best food destinations in the entire world. 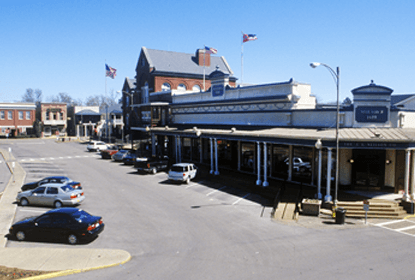 Danville is a smaller town located in between some of the world’s food meccas. Sitting between San Francisco and Napa, Danville boasts significant high dining for a city of its size. The city has over 300 restaurants and with many of them earning high culinary recognition. According to our findings, 24.6% of Danville’s restaurants have four or more stars on Yelp, TripAdvisor, OpenTable and other review websites. We recommend Miglet’s for sweets and treats, and Sakura for sushi. We also suggest you visit Piatti, The Peasant & The Pear, and Bridges Restaurant and Bar. Foodie travelers going through California must visit Sonoma. An impressive 33% of the town’s restaurants have five stars, which is the highest of any town with more than 10,000 residents. Similar to Napa, Sonoma is known for its wineries, but our findings show there are also incredible restaurants. We recommend The Girl & The Fig, El Dorado Kitchen, and LaSalette. This summer, the “Rhone Rangers” recognized Sondra Bernstein, the owner and founder of The Girl & The Fig, with their lifetime achievement award. Ms. Bernstein is the first restaurateur to earn this distinction, an award typically reserved for winemakers. A three-letter abbreviation is all it takes to activate your taste buds: B-B-Q! Tuscaloosa is home of classic Alabama southern cooking, which is why it cannot be missed if you’re traveling through the state. The town has over 400 restaurants. According to our findings, 42.4% of Tuscaloosa restaurants have 4 and a half stars on Yelp, TripAdvisor, and other review websites. We recommend Dreamland Bar-B-Que. For soul food, check out Epiphany Cafe. If you’re looking for a fine-dining experience, go to Evangeline’s. Those well versed in barbeque say there are many different types and it’s practically an insult to confuse them. One thing is clear though, Ocean Springs has really, really good food. 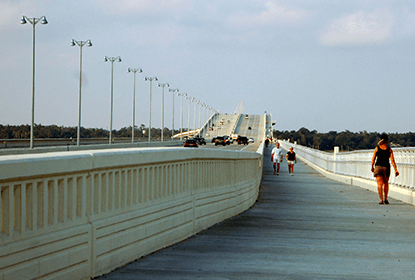 There are 17 restaurants per 10,000 residents in Ocean Springs. The restaurants in Ocean Springs have won numerous culinary awards. For example, The Shed has won over 20 awards just for their barbeque sauce at the National BBQ Association Convention. Furthermore, The Shed won the Grand World Championship at the Memphis in May World Championship. If the accolades for The Shed aren’t enough, even former vice president Joe Biden publicly stated his favorite barbeque sauce is The Shed’s. In Ocean Springs, we recommend Woody’s Roadside, Aunt Jenny’s Catfish, and, of course, The Shed. Paducah is southwest of Louisville, but is well worth the trip for foodies traveling through the south. The town has over 220 restaurants, which is one of the many reasons why it’s third on our list of the best foodie towns in the South Central Region. Furthermore, according to our research, 26.7% of Paducah restaurants have four and a half or more stars on Yelp, TripAdvisor, and other review websites. We recommend Doe’s Eat Place (we get a kick out of it’s name! ), or Bob’s Drive In. For great BBQ, hit up Backwoods BBQ or d.Starnes. Another wonderful restaurant in Paducah, Cynthia’s Ristorante, earned TripAdvisor’s Certificate of Excellence award in 2014. Oxford is another southern city with amazing barbeque that foodies have to add to their travel itinerary through the South Central region. According to our findings, over 25% of of the town’s restaurants enjoy a five star rating, which is significantly greater than cities of a similar size. We recommend the City Grocery, which is operated by the James Beard award-winning chef, John Curreance. We also recommend The Ravine, a contemporary southern food restaurant in Oxford. Go to Lenora for family-style seafood dishes. Driftwood is a small town outside of Austin, Texas but it ranks fifth on our list of foodie cities in the South Central region. The city only has about 100 residents and 12 restaurants, but the locals love them; 85% of them have five stars! This is mainly due to the incredible barbeque offered by the several restaurants in the town. Hungry people travel from all over to visit Driftwood for its cuisine. It’s definitely worth swinging by for a bite the next time you’re in Austin or traveling through Texas! Go to Salt Lick, one of the most famous barbeque restaurants in all of Texas. 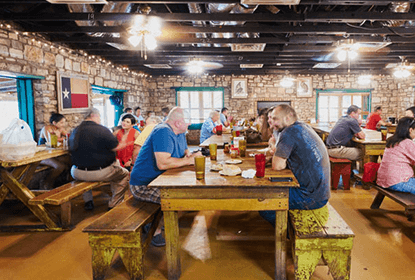 While Salt Lick has earned many awards in its 50 year existence, most recently it was voted “Best Barbeque” by the Austin Chronicle in 2016. First on our list of the best small foodie towns in the South Atlantic region is Asheville, North Carolina. Asheville has over 700 restaurants; more than any other town we analyzed within the region. Asheville is known for its barbeque and breweries, but there are many wonderful fine dining establishments, as well. We recommend 12 Bone Smokehouse and White Duck Taco Shop. For fine dining, we recommend, the Corner Kitchen. In a recent profile of Asheville, Zagat pointed to both 12 Bone and White Duck as must-visits for lunch and afternoon snacks, respectively. Lastly, while former President Obama was in office, he made a trip to 12 Bone Smokehouse in each of his three visits to Asheville. Chapel Hill is another great foodie town in the South Atlantic region safely securing second place on our list. 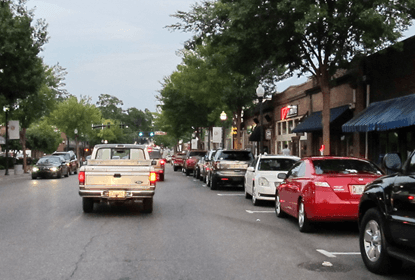 According to our findings, Chapel Hill has 22 restaurants per 10,000 residents. Also, according to Yelp, TripAdvisor, and other restaurant review aggregators, 21.6% of Chapel Hill’s restaurants have four stars or more. Chapel Hill is home to many award-winning and renowned restaurants. For fine dining, we recommend Elements or Lantern Restaurant. Elements won the OpenTable Diners Award in both 2015 and 2016, as well as awards of excellence from Trip Advisor and Wine Spectator. For a classic southern chicken biscuit, we suggest you go to Sunrise Biscuits or Time Out on Chapel Street. Food Network named Sunrise Biscuits the best breakfast in all of North Carolina. Winter Park, Florida is outside of Orlando, but it’s quickly becoming a hot destination for foodies. The town has 57 restaurants per 10,000 residents, which provides travelers a variety of restaurants to choose from. 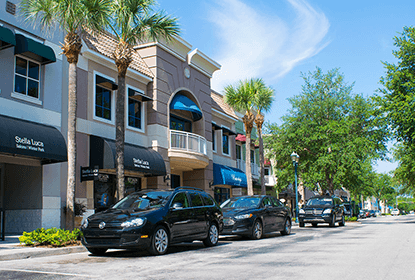 According to our findings, 28.9% of restaurants in Winter Park have four and a half stars or more on Yelp, TripAdvisor, and other review websites. We suggest you visit Hillstone Restaurant, 310 Park South, or Prato. 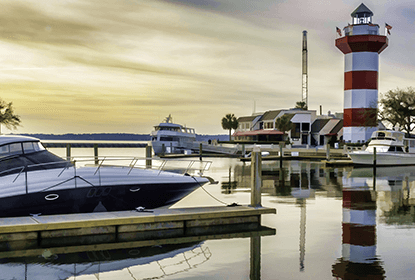 Hilton Head Island is an island off the coast of South Carolina that boasts beautiful sunsets and delectable food. The island had over 40 restaurants that enjoy a five star rating, which means Hilton Head Island means business when it comes to food. The fine dining options on the island are numerous and typically combine southern elegance with new age fusions. We recommend the Jazz Corner or Charlie's L'Etoile Verte. Consider visiting in March so you can make the annual Hilton Head Wine & Food Festival. 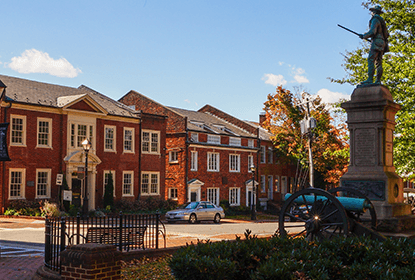 Charlottesville ranks fifth on our list of best foodie towns in the South Atlantic Region. The city has over 500 restaurants and over 10 restaurants per 10,000 residents. For fine dining, The Ivy Inn Restaurant and Fluerie are must-eats. For breakfast, the locals agree on Bodo’s. For a burger, visit in the Citizen Burger Bar. Also, Charlottesville is home to five breweries, so a brewery tour could be a fun addition to your foodie vacay. The town’s restaurant week is typically in July, making it a great time of the year to experience some of the town’s best culinary opportunities. 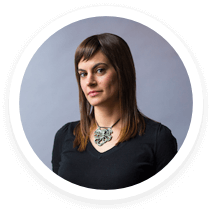 RewardExpert spoke with Roxanne Weber, VP of media for ChefsFeed - a food guide powered by the recommendations of the world's top chefs - for her insights on foodie towns and trends in America. What are the best small cities for food and dining? What makes these cities the best? At ChefsFeed we're seeing many chefs skipping the traditional "big" food cities (NYC, LA, SF, CHI) and opening up shop in other cities. Many chefs we work with are finding more flexibility to be creative, and space to grow in the smaller cities where real estate is more affordable than a Manhattan or SF, and the local food communities are thriving with great farmer’s markets, local producers, etc. What can cities or towns do to bolster their culinary scene? One thing we often hear, being based in San Francisco, is how difficult the city makes it on restaurants to open from its permitting process to the dearth of contractors to get build outs done quickly. Chefs we work with in other cities, from Austin, to Portland OR and beyond feel like the cities themselves make it more business friendly for chefs to get open than some of the bigger cities. Most chefs we work with are also all about supporting their local farmers and food producers, so cities with thriving farmer’s markets that are easily accessible definitely enable chefs to do their magic! What culinary trends are resonating across the heartland of America? There's an ongoing interest in reviving heirloom varieties of grains that we think is really interesting, and we are looking forward to seeing how that continues to filter into menus across the US. 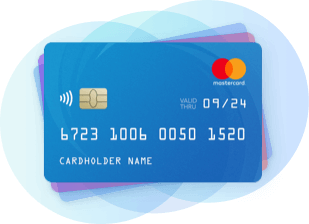 To help Americans discover which U.S. mid-sized cities are the best to visit in 2017, RewardExpert compared U.S. cities that have less than 100,000 residents. We first identified nine relevant metrics, that are listed below with their corresponding weights. Each metric was given a value between 0 and 100, wherein 100 represents the most favorable conditions for travel and 0 the least. Finally, we calculated the overall score for each city using the weighted average across all metrics and ranked the cities accordingly.